Peter Stoffer was the NDP MP for Nova Scotia's Sackville-Preston-Chezzetcook constituency for 18 years, and regularly spoke out on veterans' issues. 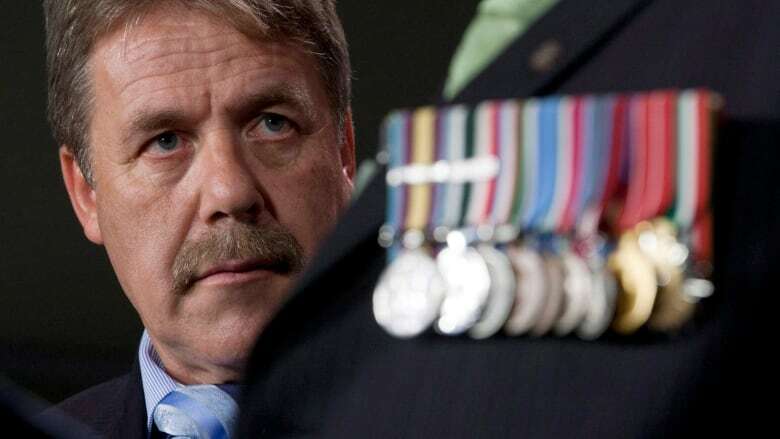 The NDP's former long-time Veterans Affairs critic, Peter Stoffer, has landed a new job with an organization that helps veterans and others suffering from trauma such as PTSD. Stoffer is taking a contract position with Trauma Healing Centers as a public relations advocate. The company's head office is in Cole Harbour, N.S., and it has offices in Moncton, Fredericton and Ottawa. It helps veterans, first responders and civilians dealing with emotional and physical trauma, including post-traumatic stress disorder. "We want people to become well again and to become the people they always have been, and to get them back on the path to recovery," said Stoffer. "It takes a long time, but the Trauma Healing Centers are there to assist these individuals in that path and I'm very proud to join them today." Stoffer was the NDP MP for the Nova Scotia riding of Sackville-Preston-Chezzetcook for 18 years and regularly spoke out on veterans issues. Even after his defeat in the last election, he helped get a 94-year-old veteran into the Camp Hill veterans hospital in Halifax. Now Stoffer will work for a company that uses and promotes a variety of methods to relieve pain, including cannabis. "If you require one-on-one treatment, they are here to help you," said Stoffer. "They work on physician referrals and they do everything from massage therapy to nutritional services, psychiatric and psychological assistance, and as well the proper way to use medical cannabis." The company says it has helped more than 2,500 patients since opening in January 2015. Kyle Atkinson, the organization's president, hopes Stoffer will raise their profile. "He's very well-connected in the military veteran world and in the political arena as well," said Atkinson. "One of my goals is to establish a positive relationship with Veterans Affairs Canada to help them better understand how we are working with veterans get the help they need for their condition." Stoffer, 60, sits on several boards dealing with veterans issues. He said his year away from politics has refueled his desire to press for additional supports for vets. "This is a great opportunity and I look forward to it immensely," said Stoffer. "To be honest it will get the juices flowing again."